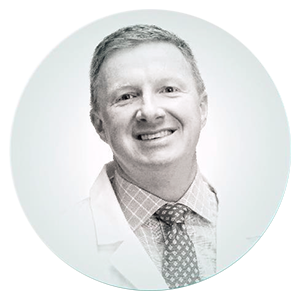 Dr. Ian Furst is an Oral & Maxillofacial surgeon in southwestern Ontario serving as a managing partner and chief technology officer for Coronation Dental Specialty Group, staff surgeon at Cambridge Memorial and Woodstock General Hospitals, an advisor to the Swisscross Foundation, and an editorial consultant to the Journal of the Canadian Dental Association (JCDA). In these roles, he has served as the CTO for a 7 site network deployment, developed process mapping models using discrete event modelling software to improve patient wait times and clinic efficiency and was a lead consultant on a Web 2.0 initiative for JCDA to increase user engagement (OASIS). Dr. Furst is also co-founder of SafeReferral, a referral management system for the secure communication and transfer of sensitive information, a consultant on Dentalware, an electronic medical records system for dental specialists and a part-time Wikipedian as a subject expert on dental articles. Dr. Furst also serves as a surgeon, and advisor to the Swisscross Foundation (Zurich, Switzerland) on data collection for the war wounded in conflict zones.